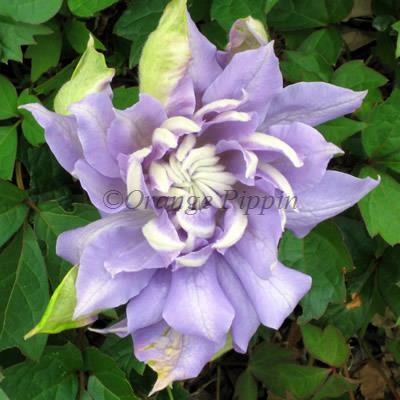 Clematis 'Denny's Double' is an outstanding variety with beautiful, large, double mauve flowers in May, June and again in September which eventually turn a shade of light blue. It will occasionally produce purple/green petals. When Mr and Mrs Denny of Broughton near Preston raised seedlings from Duchess of Edinburgh, among the progeny was this amazing result.